Reid Whitten works with clients around the world to plan, prepare, and succeed in global transactions. In the areas of sanctions, export and defense exports, anti-corruption, and CFIUS, he supports clients in detecting and deterring potential compliance issues as well as conducting investigations and defending against enforcement actions. Mr. Whitten also advises on U.S. anti-dumping, anti-money laundering, and anti-boycott regulations. Mr. Whitten focuses on his clients’ cross-border investments, particularly in the Technology and Aerospace sectors, helping them navigate the international trade regulations that could disrupt their deals. Mr. Whitten is a thought leader on cross-border business regulations. He is a visiting professor at the Law School of the Université Catholique de Lille, in France, and at Wake Forest University in the United States where he teaches courses on The Law of International Business. Mr. Whitten is a member of Chatham House, the UK's Royal Institute of International Affairs. He writes and comments regularly and is called on by television news channels, international newspapers, and trade publications to provide analysis on the latest changes to cross-border transactional regulations. Mr. Whitten is the lead author and editor of The CFIUS Book and is the head of the firm's CFIUS Team. Mr. Whitten also conducts seminars on regulatory updates to industry groups in the United States, France, Belgium, Spain and the United Kingdom. He speaks French fluently. 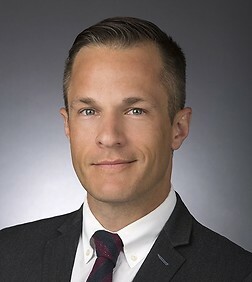 Mr. Whitten is the Managing Partner of Sheppard Mullin’s London office and shares his time serving clients out of the Washington, D.C. office. Represented U.S. energy company in a multi-national anti-bribery and FCPA investigation conducted in coordination between U.S. and Ghanaian authorities. Applied for and obtained one of the first export licenses under revised sanctions regulations that permitted a U.S. company to send good to Cuba to support a clean-water initiative in that country. Appeared with clients before US Trade Representative committee on the imposition of Section 301 tariffs to present their cases for exemption from the tariffs. Advised several U.S. manufacturers on submitting comments on and requesting exemptions from the imposition of Section 301 tariffs on products and components from China. Europe Opens Routes for Sanctioned Iran Airline: Flying the Too-Friendly Skies? US and EU Iran Sanctions Lifted: How to Proceed in Aviation Sector? Trans Pacific Partnership and Auto Industry: Will Six Thousand Pages Pave Way for Increased Exports? Co-authored chapter, "U.S. Export Controls and the Cloud"
"Early Steps Toward a Streamlined Export Control System"
"Taking Early Steps Toward Streamlined Export Control"